Great philosophers such as Kierkegaard, Nietzsche and Sartre have clearly been preoccupied by the possibility of authenticity. 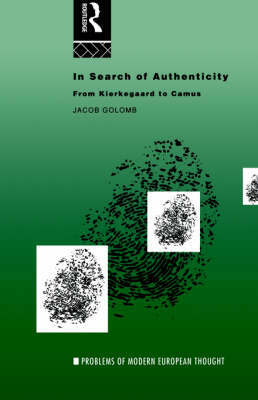 In this study, Jacob Golomb looks closely at the literature and writings of these philosophers in his analysis of their ethics. Golomb's writings shows his passionate commitment to the quest for the authenticity - particularly in our climate of post-modern scepticism. He argues that existentialism is all the more pertinent and relevant today when set against the general disillusionment which characterises the late twentieth century. This book is invaluable reading for those who have been fascinated by figures like Camus's Meursault, Sartre's Matthieu and Nietzsche's Zarathustra.